Takumi's rise to the top the street racing underground is the stuff of legend, but his status as the best is on the line once again. Team Emperor's in town with a singular goal: to crush all opposition. The team's drivers are as aggressive as their cars are advanced, and Akina's Eight-Six might be outclassed. There's a chance that Takumi's skills have surpassed the abilities of his beloved machine, and if he wants to maintain his rep, severe modifications must be made. Unfortunately, mechanical woes aren't his only problem, thanks to some rumors going around about his girl. The distractions are definitely stacking up, and so are the challengers. That means it's time for Takumi to do what he does best - keep his eyes on the road ahead and floor it. 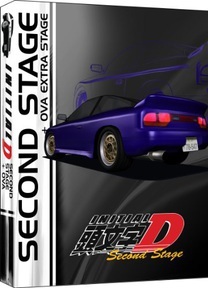 Contains episodes 1-13 and OVAs Extra Stage 1 and Extra Stage 2.